MOTU has released DP Control, a free app now available from the Apple app store that allows Digital Performer users to control DP over a WiFi network using their iPhone, iPad or third-generation iPod Touch. Built specifically for use with Digital Performer (Version 7.2 or later), DP Control gives users easy access to the most important transport and mixer functions for tracking, mixing, and live performance. Designed with large, touch-friendly buttons and other UI elements, DP Control works in both landscape and portrait orientations. Wireless, multi-touch mixing with Digital Performer is now a reality. Users can operate multiple on-screen Mixing Board faders simultaneously with several fingers. For two-handed mixing, users can turn their iPad sideways and mix with fingers from both hands at once. Faders and other controls are large and easy to grab. Users can quickly swipe left and right to access more faders as they mix. If users make a change from DP Control on their remote device, such as renaming a take or adding a marker, the corresponding DP project on the host Mac is immediately updated, and vice versa. This two-way communication makes DP Control a seamless extension of DP. 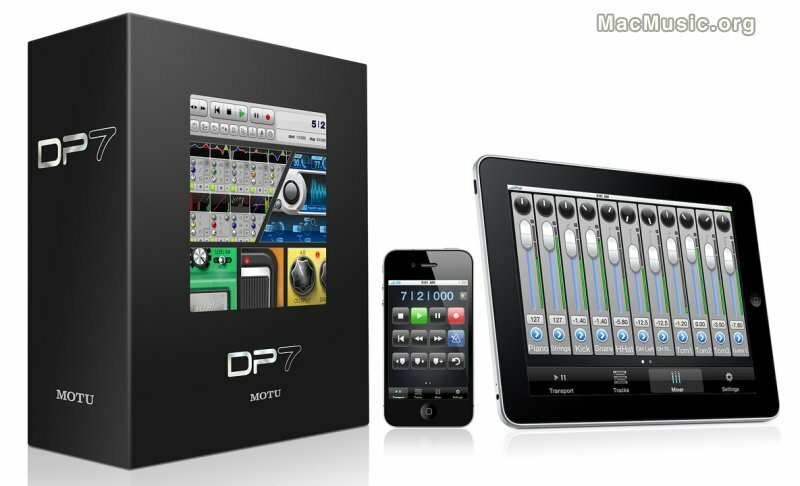 DP Control is now available as a free download from the Apple App store. It is compatible with any iPhone, iPad, and third-generation iPod Touch, and it requires Digital Performer 7.2 or later running on a Mac on the same WiFi network as DP Control.